This Shore polished chrome pull switch 2 lamp bathroom over mirror light is rated IP44 and features a modern design, with square wall mount, mirror chrome fascia and over-arching swan neck arm. Two horizontal cylinder shades contain the lamps and feature partially frosted glass for a softer light. Fitted with a convenient pull cord switch. 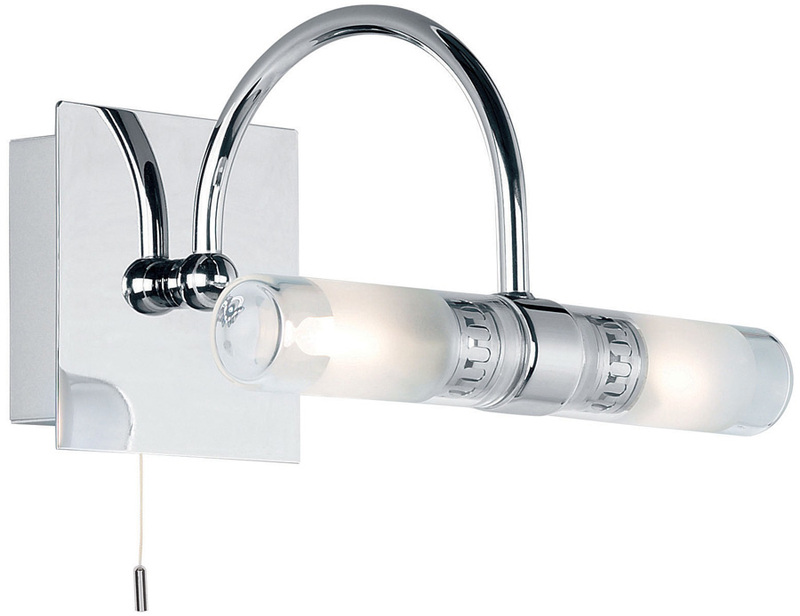 A modern highly polished chrome two-light bathroom over mirror light; part of the Enluce premium bathroom lighting range. Rated IP44 and suitable for zones 1 and 2.